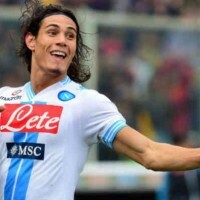 Edinson Cavani has made his choice! Chelsea joins in for Higuain! Naples find another eye for a striker, Alexis Sanchez but it is believed that FC Barcelona have said he isn’t going anywhere. In the words of blaugrana Vice President Josep Maria Bartomeu, he is not about to change. “Alexis Sanchez is not going anywhere. We believe in him and his abilities”, he dropped into the Chilean daily newspaper El Mercurio. El Niño Maravilla enjoy.